IPA meet hefeweizen. 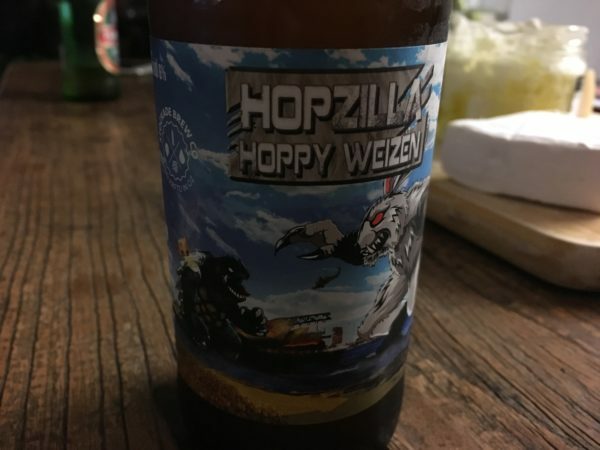 Or at least that’s the intention for this Stockade Brew Co. Hopzilla Hoppy Weizen. Works too. A blend of Galaxy. Citra and Cascade hops, this has the expected hop aromatics that are nestled in amongst banana what beer esters. I always enjoy the extra richness of a good hefe and the 40 IBU hoppy bitterness works a treat. Love the big flavours. 4 stars (and nudging 4.5). 6%. Would I buy it again? Absolutely.